Check out Tobi's Double Trouble Hoop Earrings Step up your hoop game with our Gold Double Trouble Hoop Earrings. 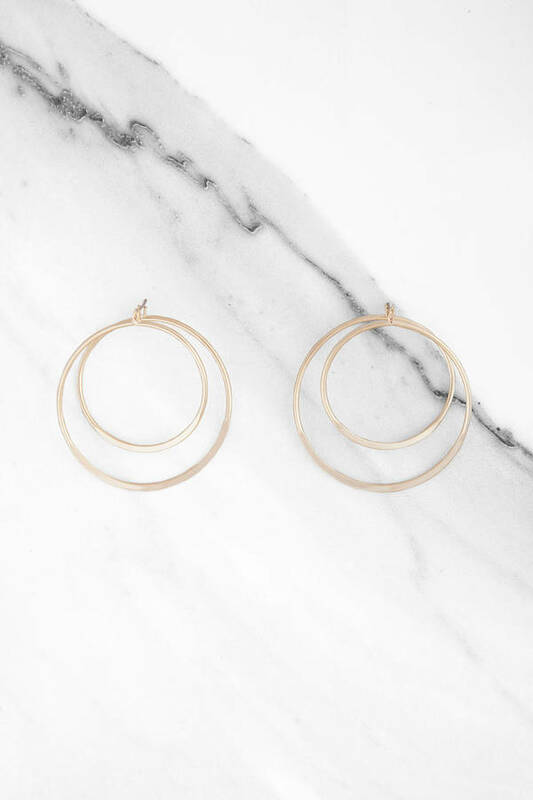 A new take on our fave oversized hoop earrings, these earrings feature a smaller hoop on the outside of the earlobe, with a larger hoop falling from the reverse. Double the fun with these oversized earrings. 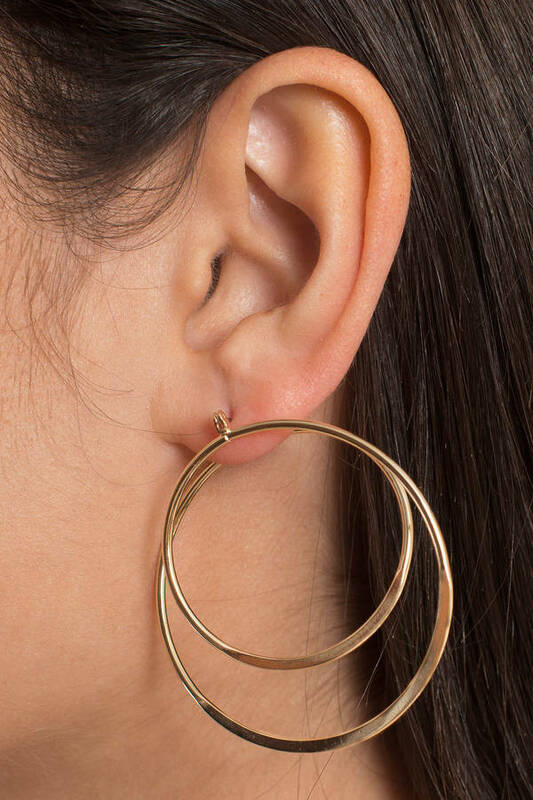 Step up your hoop game with our Gold Double Trouble Hoop Earrings. A new take on our fave oversized hoop earrings, these earrings feature a smaller hoop on the outside of the earlobe, with a larger hoop falling from the reverse. Double the fun with these oversized earrings.